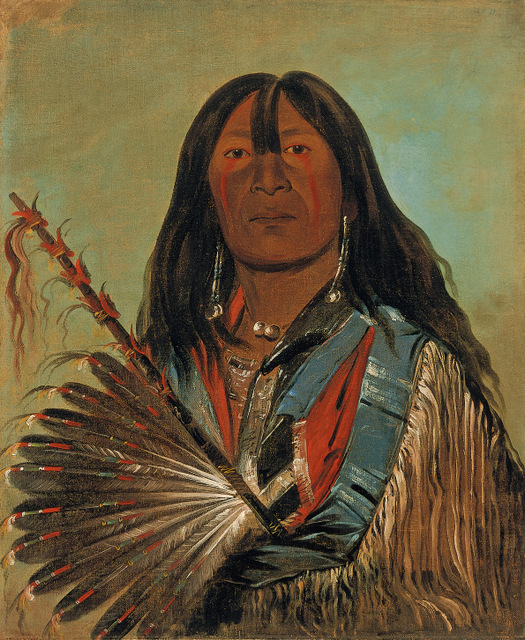 George Catlin lived in a troubling time when white settlers were expanding throughout North America displacing its indigenous people as they went. 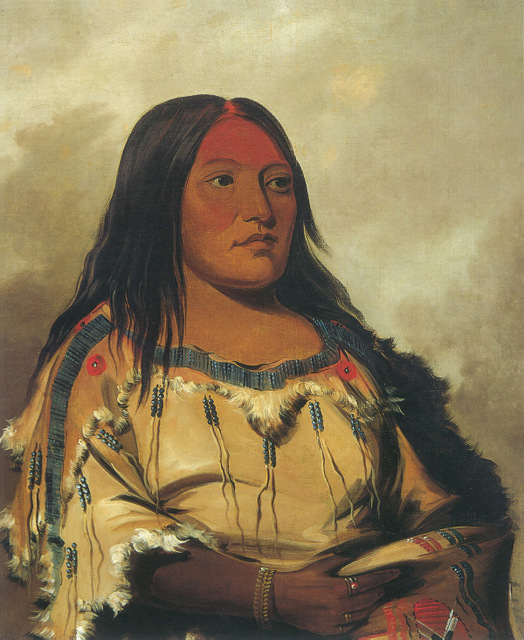 Catlin got to know many native Americans and was set on capturing all of the various tribes before they 'passed from the face of the earth'. His speciality was portraiture, and though he does often paint his subjects in their splendid and exuberant battlefield regalia, it's the subtler works that are much more emotionally powerful. They highlight the humanity of these people when at the time many would have just seen them as 'savages'. 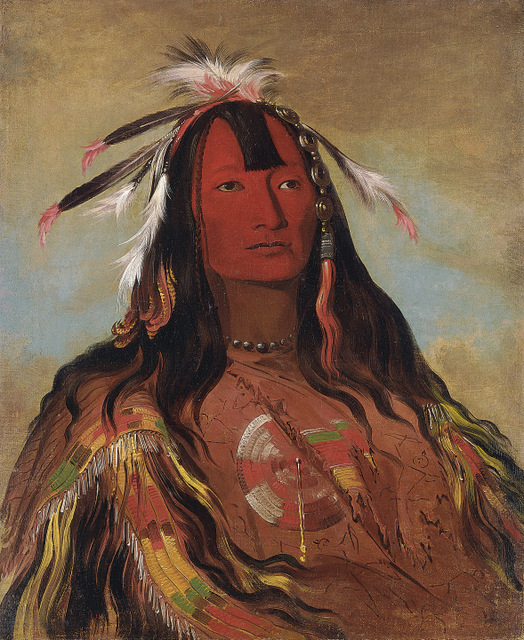 Stand-out pieces include a 12 year old girl with a piercing stare, and a diptych showing a native American before and after he encounters Western society. In his traditional clothing he appears dignified but in Western clothing he's made to look ridiculous. 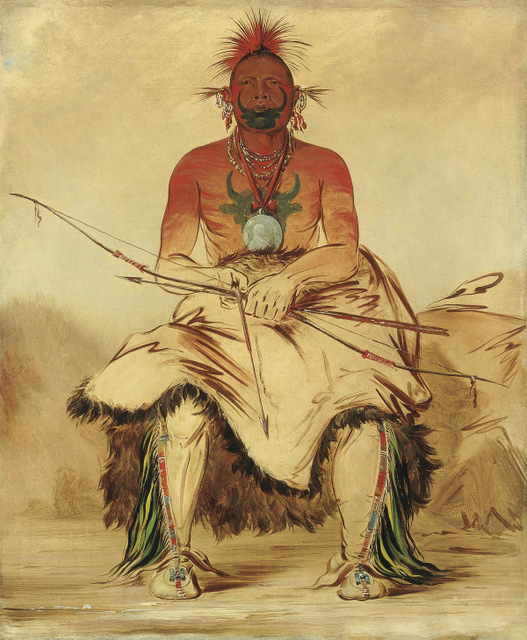 Catlin also tried his hand at landscape and genre paintings but in comparison to his portraits they appear amateurish. His bloody depictions of bison hunts are excessive and lack the tender subtly of his portrait studies. Catlin's portraits were first displayed in London 170 years ago in the Egyptian Hall in Piccadily, where they were stacked from floor to ceiling. It must have been an impressive sight — one room here tries to recreate that feeling but doesn't quite manage it. 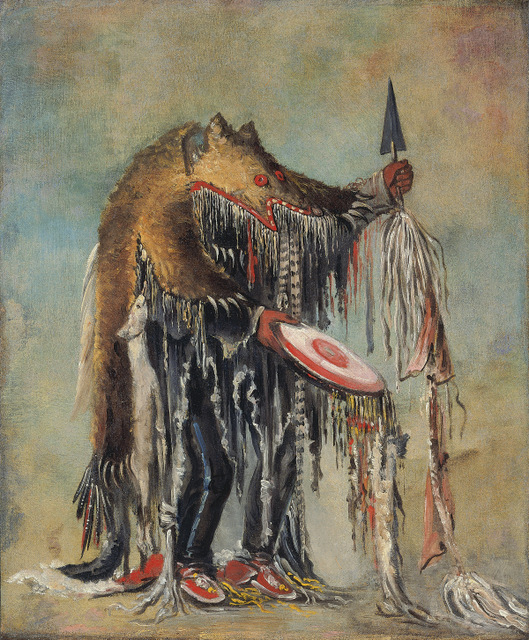 This is a poignant exhibition that shows off Catlin's talent as a portraitist, but it also marks a point in history — capturing the culture and lives of Native Americans before they were displaced by encroaching Western settlers. 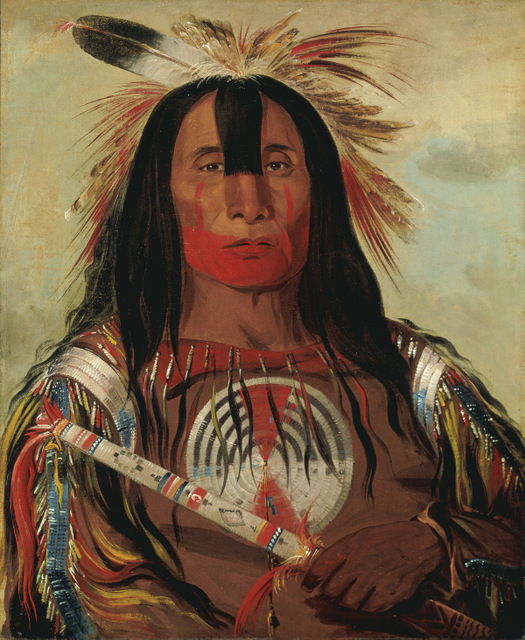 George Catlin: American Indian Portraits is on at the National Portrait Gallery until 23 June. Admission is free. For more excellent American paintings, visit Through American Eyes next door at the National Gallery.